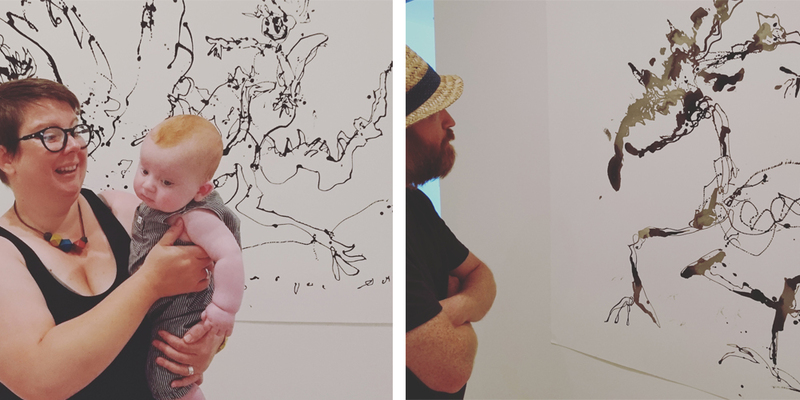 The Carter family pop over to The Jerwood to see the critically acclaimed new exhibition by Quentin Blake. 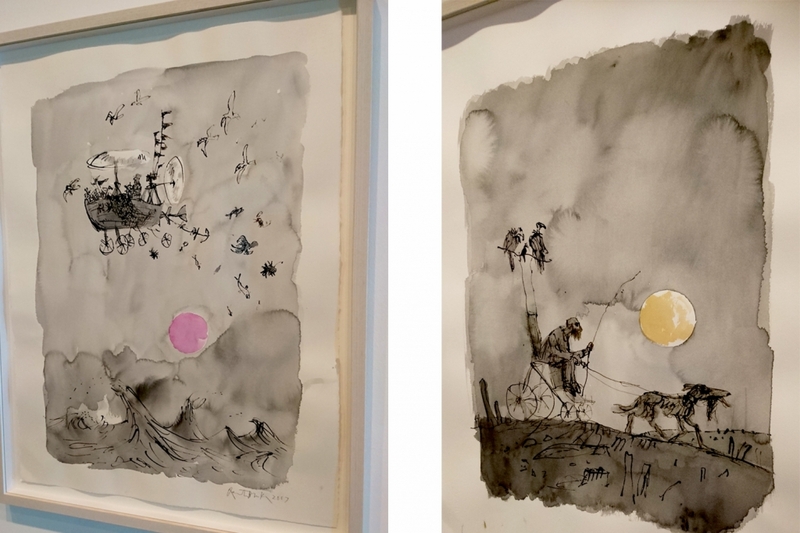 So for Fathers day this year we decided to pop along to The Jerwood Gallery to see the new exhibition 'The Only Way To Travel' by Quentin Blake. We are all great fans or Mr Blake in our house, having grown up with Roahld Dahl books how can you not be! Quentin Blakes Illustrations have become synonymous with Dahls books but he should also be recognised for his extraordinary self initiated works and books. The exhibition explores a huge range of issues from the refugee crisis to mental health. Quentin was asked about the show title and he said, ‘I chose the title because it gives me the opportunity of doing a number of different kinds of pictures on related themes. Many are comic fantasy, some are more decorative and others have a suggestion of metaphorical significance, which allows me to explore human situations and feelings. I thought also that the idea of ways of travelling was something that almost anyone of any age might relate to, and help to lead them into the pictures’. 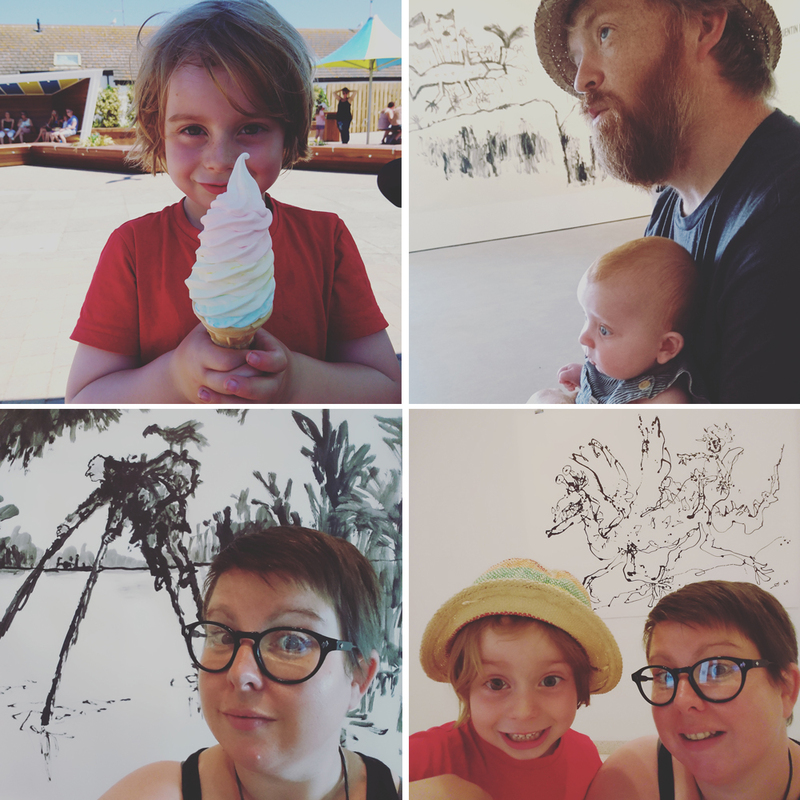 This exhibition was a real thrill for us, seeing his work in such a large scale was mind blowing (and the kids loved it too!). 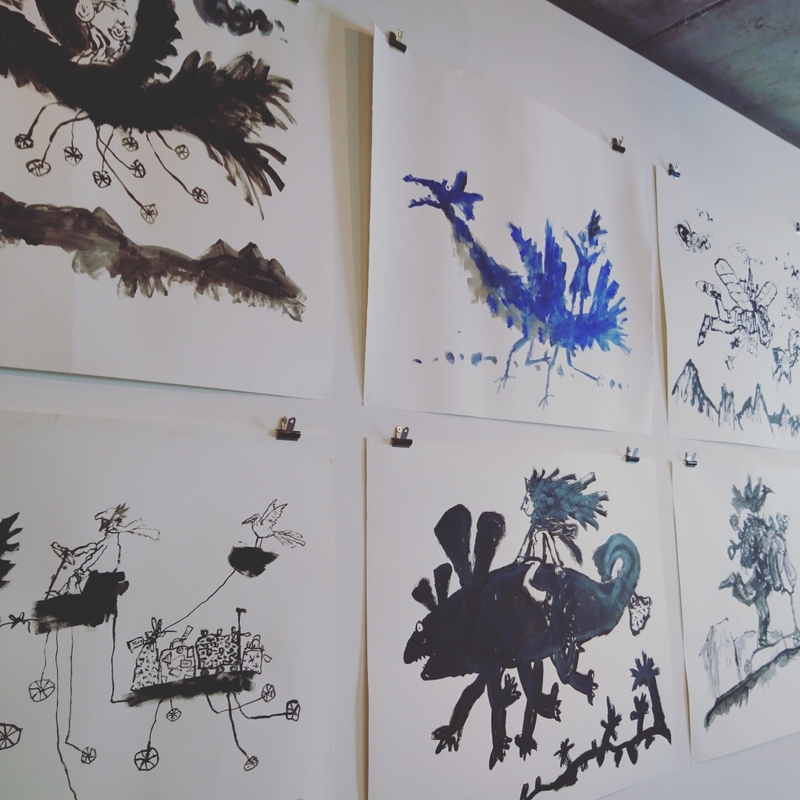 You can see what fun he must have had creating these amazing large pieces, the movement of ink on paper the splash and scrawl which brings to life Blakes trademark illustration style supersized was just awesome. Alongside these stunning huge pieces were a series of grayscale pieces, continuing his theme of madtrap traveling contraptions and gizmos with highlights of colour in each. These were stunning, I wanted to take every single one home with me. The themes of mental health and the refugee crisis really stood out in these illustrations, they had such an amazing mood to them. 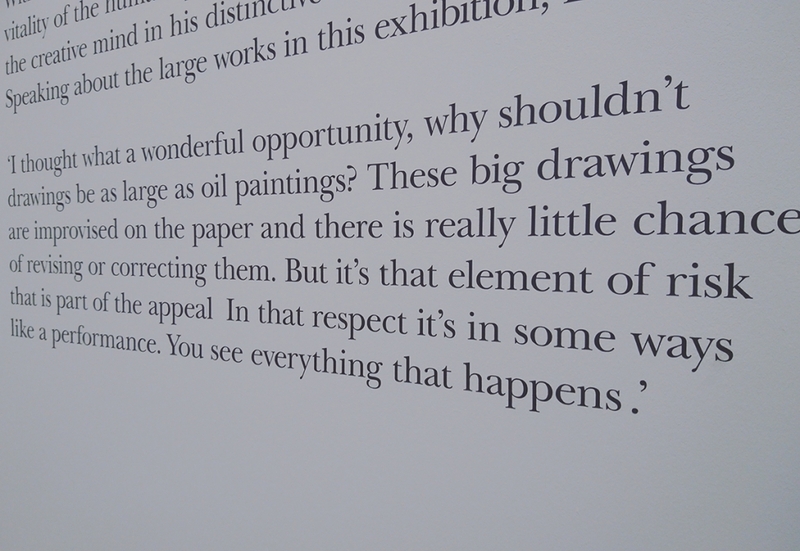 I found thus paragraph from the artists show statement really interesting,about how he wanted to explore the idea of an exhibition not being about big oil paintings but about drawings too. 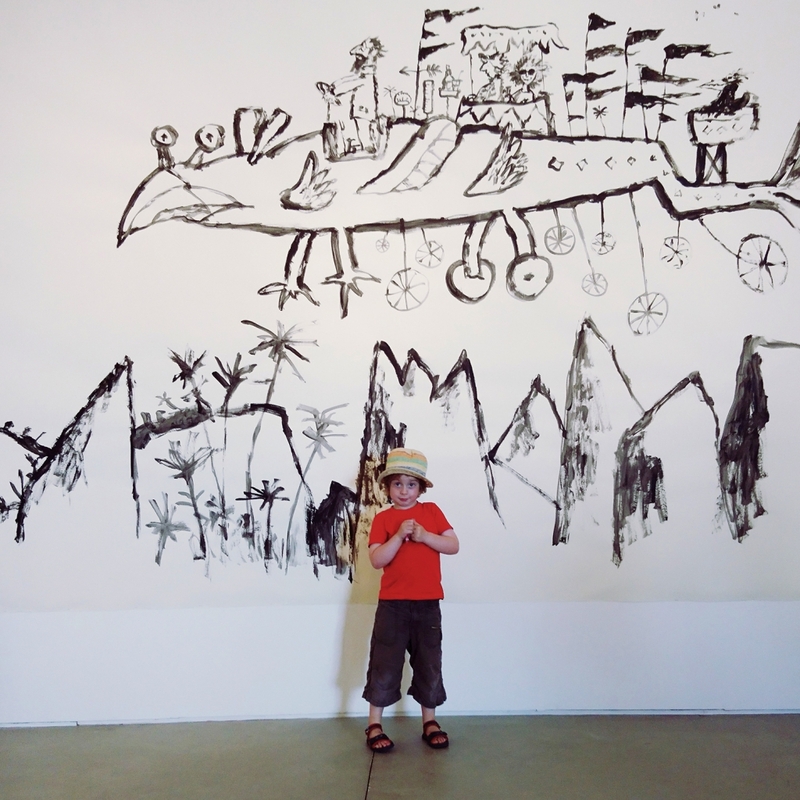 Well we of course champion Illustration and drawing to be part of your art collection on a daily basis, so it was quite wonderful to have a revered artists such as Quentin Blake on your side! So a great day was had by all! And seeing as it was a bloody hot day we of course got rainbow icecreams! Do pop along to the exhibition if you can - its really a fantastic show and such a treat to see Blakes work in the flesh! It was the perfect way to celebrate fathers day - thanks for being a brilliant Dad to our boys Mr Graham Carter!